It's been a while since I've reported on the progress with cataloging my comic book collection. Back in February I had 5,660 comics. Since then, work and other factors have really affected my progress. But tonight I devoted a half hour to it and finally crested the 6K mark. As of this moment, I've got 6,026 comics in my collectorz.com software. These are mostly new comics to me. Well, sort of. The Darkhawk comics were a moving gift from my buddy, Paul Mauer. By that, I mean he gave me two long boxes of comics when he moved because he didn't want to haul them to Seattle. I've been slowly going through them, keeping some (and reading them now). Others (like the Image series Brigade) I'm just going to sell at my next comic/game convention. 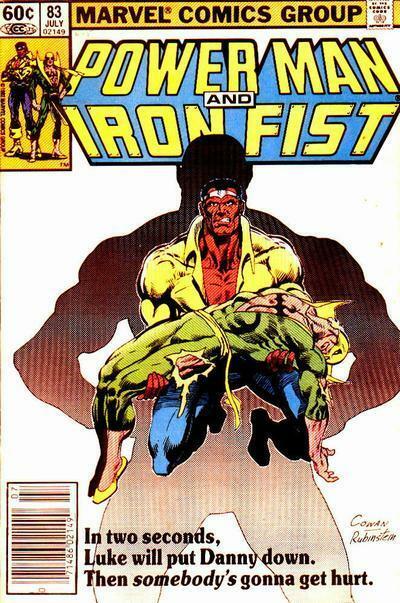 The Power Man and Iron Fist comics, however, are new to me. They were in a bargain box outside the local Half-Price Books store on Free Comic Book Day (which was Saturday, May 4). I've always liked that series and recently picked up the PM&IF Essential collection, vol. 1. These issues I picked up are definitely reader copies and well worth the 25 cents per issue I picked up. To be honest, there were three duplicates in the run (that is, I already had them). But at 25 cents a book, it honestly wasn't worth the effort it would have taken me to call up my current collection and confirm what issues I already had. The fact that I'm stopping to read and reread so many of the comics is probably why it's taking me so long to finish this project. On the other hand, that's part of the reason I started this project to begin with. The reason I bought all these comics is because I enjoy reading them. 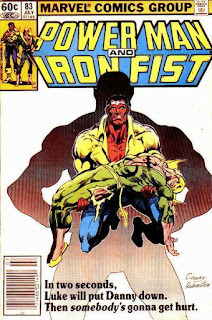 Rereading them -- and in the case of Power Man and Iron Fist -- filling in the blanks on books I missed the first time around is what this venture is all about.